Members of the Harvard community gathered in Memorial Church on Wednesday to share memories of Wendy H. Chang ’12, who died on April 21. Attendees of the memorial, which was organized by friends of Chang, filled up two thirds of the pews in the church. A spokesperson for the agency overseeing the medical examiner confirmed last week that Chang’s death had been ruled a suicide. An only child, Chang is survived by her father C.J. and her mother Ingrid. The service began with opening words from Lowell House Co-Master Dorothy A. Austin and Tanya Henderson, a leader for the Buddhist movement Soka Gakkai International, which Chang belonged to. While members of the Nichiren Buddhist Community performed a chant, attendees formed a procession to offer a rose or incense for Chang’s spirit. According to a pamphlet distributed by S.G.I. at the memorial, the “Nam Myoho Renge Kyo” chant was meant to awaken Buddhist brotherhood, while the smell of incense symbolizes the everlasting presence of loved ones who have died. Lowell House Co-Master Diana L. Eck read aloud excerpts of a speech Chang had submitted for the senior class’ upcoming Class Day exercises. In the speech, entitled “Many Brick Buildings,” Chang wrote that Harvard students were much like the strong brick buildings that populate the campus. She cautioned her fellow students not to house their hearts behind brick exteriors. “We are often seen more as seeming okay rather than being okay,” Eck read from Chang’s speech. “Never did I imagine I would walk through life without her,” said Kristin E. Arn ’12. She had imagined that she and Chang would pick out graduation dresses together, be bridesmaids in each others’ weddings, and sit side by side at reunions, she said. 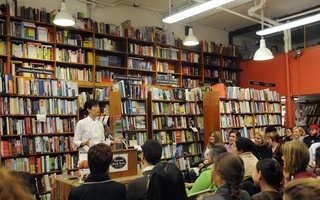 Many students spoke of Chang’s ability to make even banal and ordinary aspects of life exciting. An important subplot in Lan Samantha Chang’s “All Is Forgotten, Nothing Is Lost” involves a mysterious poem that is never properly finished. 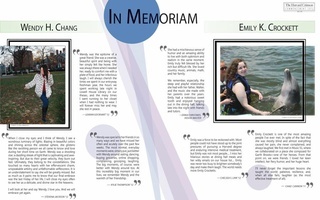 Wendy H. Chang ’12, an English concentrator and resident of Lowell House, died Saturday. 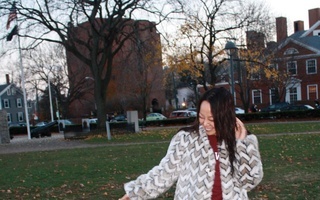 Incoming Art Chair Natalie T. Chang imagines what happened during her semester abroad.